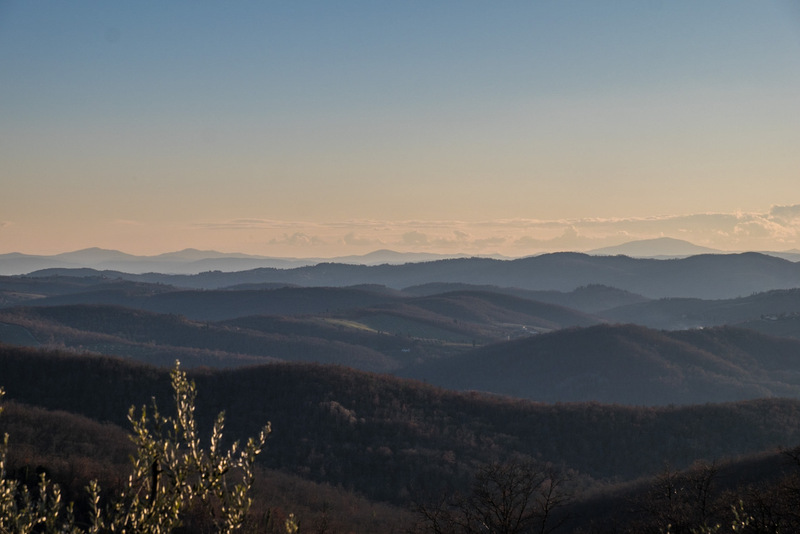 My conclusions, after several days of tasting and touring in Montalcino in February this year during the annual Benvenuto Brunello preview tastings of the latest releases, are that overall quality throughout the appellation is much, much better than it was even five years ago. 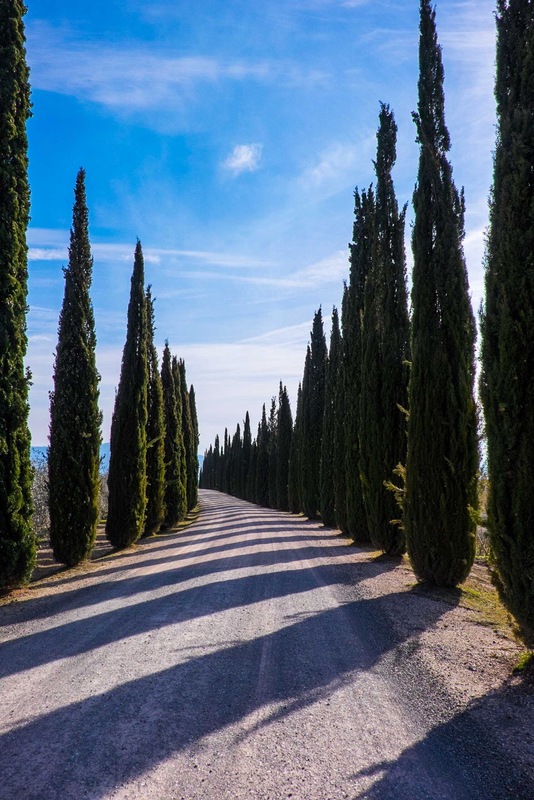 Keep in mind that many Montalcino estates are owned in many cases by individuals or companies who do not oversee production directly, but rather hire consultants. And since consultancies change regularly, so do wine styles along with them. Although I must say the DOCG is not as heterogeneous as it has been in the past, and the changes have been overwhelmingly positive. The vast majority of producers have abandoned the overly heavy influence of new barriques, a detriment to sangiovese if there ever was one. Colours are lighter and more garnet-red on average and less purple tinged, in the proper sangiovese spectrum. And there’s a commitment to bring out the best of the variety, rather than attempt to mold it into something it’s not suited to be. If you are a fan of inky black, big, bold, jammy Brunello, I’m afraid you’ll have to start shopping elsewhere. 2013 was a cooler, wetter, and more variable vintage than 2012, but one in which the top wines surpass the best of 2012 in my view, at least if elegance and savouriness are positive qualities on your list. They may not have the power and overt ripeness of the previous vintage – 2012s were more uniformly ripe and plump, charming, but less compelling, even if more widely appealing I suspect. The top 2013s show lovely fruit purity and freshness, delivering the savoury, herbal, dried floral character that makes pure sangiovese so appealing. I think the top 2013s will also surprise by their ultimate ageability; they will certainly be enjoyable over the mid-term, but their firmness and acids should also see them through into the late ‘20s or early ‘30s in the best cases. According to several producers, the 2013s are more akin to the wines of the 1970s and 80s, before the obsession with concentration and oak took hold. In a word, they are more traditional. On the down side, the less successful examples show stretched out fruit, raisined but also tart, with aggressive, astringent tannins, and in some cases, acetic creeping in already. It’s certainly a vintage in which the best sites come to the fore, magnifying Sangiovese’s already hyper site-specific, unforgiving nature. It must also be said that the highly variable weather over the last few years has wreaked havoc on viticulturalists. It’s hard to predict and farm accordingly, which again favours sites with the best natural attributes and the older vines that are able to weather the variable weather, as it were. So, one must navigate carefully in 2013 towards one’s preferred styles, a task confounded by the fact that some producers have done stylistic 180ºs. Below are a few of the wines not to be missed, all tasted in February or March of this year. Exclusively from the Montosoli hill on the north side of Montalcino a historically celebrated site. This is refined, fine, elegant, sapid and succulent, clearly a fine site, a superior terroir. There’s a sea shell minerality, terrific saltiness, and excellent length. Superb wine. Mostly from vines planted in 1986, with a small part of younger vines, 18 years old. Best after 2020. Pale-medium garnet red. Lovely perfume here, in a different class, high toned but clean, fully in the spiced red fruit spectrum, lovely floral and resinous herbal components. The palate is sappy and saturated, mid-weight, vibrantly acid, with some volatility to be sure, but in check. It’s impressive how much flavour is carried on a delicate frame, taut and tensile. This is very fine, elegant, classy and sophisticated. Exceptional length. Suited for mid-term enjoyment. Despite fears that Poggio di Sotto would change for the worse after changing ownership, it seems it’s still on fine form, at least for now. Sappy, fleshy, succulent, magnificent salinity and density without heaviness, superb length. So classic, so complex. Outstanding length. Delicacy and tensile strength. A real success in this vintage. From southern Montalcino in Sant’Angelo in Colle, though higher altitude vineyards mitigate heat. Open, stylish fresh and properly herbal with vibrant, spiced red fruit. The palate is lively and fresh, firm and structured, but balanced and not hard. Very nice, fine-grained tannins and excellent length. This is fine wine, with tension and energy. Fine terroir. Medium+ garnet-red. Deeper and darker than the mean, also concentrated, with impressive flavour density, from clearly low yielding, balanced fruit in a good site. I like the resinous, mentholated aspect, the abundant, tight but ripe tannins and the crunchy acids to match. Everything is present in high but equal measure. This needs time; best after 2021 or so. Medium-deep red-red garnet. Still tightly wrapped on the nose, but the palate is saturated with flavour, contained by significant, medium-grained tannins and balanced-fresh acids. I like the balance and poise, the genuine rusticity and honest texture, and the excellent length. Best after 2021, or hold into the early ’30s. From four zones, about 50% from around the estate, including the old vines, the highest in Montalcino at 600m. Lovely, savoury, spicy, open nose. Fantastic energy. Long skin contact, not excessive green harvest (especially in Castelnuovo dell’Abate) makes the difference. High sapidity, excellent length. Classy. Elisabetta Gnudi Angelini of Caparzo purchased the Altesino estate in 2002, and set about building a new cellar and replacing all of the casks. Montosoli was the prize, a small hill on the north side of Montalcino rising up to 400 meters on free draining limestone/galestro soils. Eight producers share the vineyard, and Altesino owns 5ha of the celebrated 30ha. Pale-medium garnet. Ripe, even into the dried blueberry spectrum, as is so typical of Altesino. Lovely herbal and floral, pot-pourri notes follow up. The palate is pitched mid-weight, with fine acids and very delicate tannins. Fine stuff. Lovely, fragrant, spicy-floral, well managed wood, all large botti. Short maceration, 12 days. Quite fine, elegant, as usual for Caparzo. Delicate tannin, fine acids. Fine stuff. This has fantasy – full, firm fresh, lovely vibrancy, great balance, proper red fruit, excellent length. A top example from the vintage. Medium-saturated red-garnet. Discreet aromatics, and full, highly structured palate. Tannins are a touch drying – astringent, but there appears to be enough fruit here to see this through to better balance. This is powerful and generously flavoured with genuine concentration and excellent length. Medium red. Open and generous nose. Full and firm, nicely saturated palate with ample concentration and big structure. Fruit extract will suffice to outlast gritty tannins, and length is excellent. A strong, excellent terroir in north Montalcino, powerful, dense yet balanced. Medium red garnet. Open, attractive, broad-nosed, spanning floral and red fruit aromatics, fresh and resinous herbs, in a classic sangiovese idiom. Wood is not a feature of the profile. The palate, too, shows a broad range of flavour, developing nicely from beginning to end, expanding and covering the palate. Tannins have been very well managed, fine-grained, lightly dusty, sufficiently coated with fruit extract. Balanced now, and surely balanced and more complex in five years, or hold into the late ’20s for a fully mature expression. 25 year old vines. Open, attractive, sumptuous nose, ripe without being overripe; wood is a minor factor. The palate is fullish, succulent, balanced and juicy, with well managed tannins, saliva-inducing, and very good to excellent length. A plump and engaging, plush and satisfying style, which has improved markedly in recent vintages; I’m told there’s been a radical change in viticulture here. Medium+ garnet red. Mid-weight, zesty juicy, lovely acids. Another fine example from Uccelliera. This is elegant and fine, fine-grained and firm-dusty, succulent and even salty. Very fine stuff. Here’s a fine, dense, ripe, generously proportioned example, with evident and genuine depth and concentration, sappy and fleshy. Tannins are supple and coated in fruit extract, and length is excellent. This represents the proper, mid-range, neither modern nor anachronistic, born of meticulous vineyard and vinification. Best after 2020. A blend of fruit from Montosoli and Lavacchio (north and south Montalcino). Nicely perfumed, and the more elegant side of the appellation, ripe but fresh red fruit, fine-grained tannins, juicy and refined, genuinely concentrated and salty. Very good to excellent length. Fine wine.